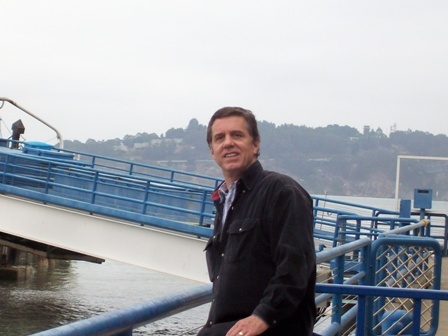 Rick Taliaferro is a freelance writer and editor (TextPosit). In his spare time, he spends one hour, or one page, or 200 words per day on fiction. He recently had a novel published, Cascades, and is currently rewriting the first draft of a new novel. Before he became the Associate Editor at Bartleby Snopes, several of his stories appeared in the journal. We know this phrase, usually muttered when technology is not working. But, here’s one case where it did work, usually very reliably and consistently. And I have the feeling that it’s more the general case than an isolated, personal case. 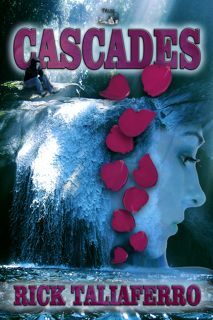 In the past several months, I’ve been thinking up ways to publicize my newly available teen/YA novel, Cascades, in addition to studying and emulating what other writers are doing to promote their publications. A really great idea that I had was to streak a well-attended public event here in the Raleigh area, wearing just a t-shirt or carrying a sign with quick details about my novel. A friend could video-record it and post it to YouTube. Then I’d sit back and wait for the post — and sales of my novel — to go viral. “How about if I could get Justin Bieber to read it and tweet about it?” I suggested. Another idea that I had was to pitch the following proposal to local media here in the Raleigh metropolitan area. In a nutshell: “Local author gets first novel published, and credits current technology as helping in that achievement.” I haven’t heard from any one of the media yet, and perhaps won’t; they might rightly view my proposal as a self-serving attempt to get free publicity. Which it is. But I think there’s a broader general interest element to the proposal, which goes beyond an author’s desire to sell books, and which applies to writers today, especially aspiring writers. So, in lieu of an appearance in local TV, radio, and newspapers, here’s what I would have covered in the hoped-for interview. And these observations are not original, nor new (some of you might call them ancient history by now), and don’t cover various other recent consumer-tech advances of which I’m an ignoramus and which you’ll notice by their conspicuous absence. But perhaps we can generalize the specific devices noted here and extrapolate their positive effect to other technological advances in this post-Guttenberg-paradigm that we’re in. I’m inviting readers of this guest blog to fill in the consumer-tech gaps that I’ve left, and note the positive effect technology has had on their writing efforts — as soon as they stop guffawing that I haven’t used them, yet. Naturally, it’s possible that technology exerts a negative influence on one’s endeavors, such as writing, but let’s save that topic for another blog. By coincidence, there’s a thought-provoking article on this topic in the “Related articles” links below. Alright, the technological devices which contributed to my getting published are email, the Internet, and perhaps most importantly, the e-reader, as described here. Again, please jump in with your thoughts and arguments. Email has improved the communications between authors and editors/publishers. The quality of the communication still depends on careful wordsmithing, but turnaround time in submitting and receiving responses has become more efficient. For sure, online journals can still take several months in which to respond to a submission, but the advent of email has enabled a more efficient submission-and-response apparatus. You’re no longer tasked with putting pages and SASEs in an envelope and posting it; neither is the editor when responding. The transmission of your submission is nearly instantaneous, as is the response (that is, the transmission after the writer or editor gets around to processing the email and clicking Send). And, though some journals still take months to respond, I think email, by its instantaneousness, has encouraged a faster response time. At Bartleby Snopes where I’m an associate editor, our usually met target for responding to submissions is 3-5 days, and usually quicker than that, even with requested feedback. Part of this response rate is because of email. Internet. Several characteristics of the Internet are serving the aspirations of writers. – In addition to publishing opportunities and exposure, the underlying code that provides part of the WWW infrastructure can also provide opportunities for creative experiments in narrative form and structure. For example, in the use of linking, and forward and backward referencing. There’s lots of examples of this. My short story, “Keynote Address,” attempts to use HTML coding in several narrative places to tell the story (in one example, the story links to a description of what is generally regarded as the early example of hypertext fiction, “Afternoon”). I think the point I’m trying to make here is that with HTML, there are new opportunities for narrative form and structure, so that we can produce works that are more than just a traditional, paper-based story in an online medium. There are technical features of HTML that can serve story-telling. So, in reading over this blog, it appears that the primary benefit of recent technological developments is an increase in opportunities for aspiring writers. That’s true in my writing efforts. I can’t say whether I’d have been published in the olden days. Maybe, but chances were against it. However, I can say that I am getting published now, and technology gets some of the credit. As this blog started with a common observation about technology, I’ll end it with a more general folkism that also applies to technology: “The more things change, the more they stay the same.” As helpful and facilitating as technology can be in a particular project, writers still need to persevere, accept rejection and, if possible, learn from it, and above all to keep writing. That’s old school advice that’s timeless. You combine that counsel with technology, and you’ll get published. Okay, it’s your turn to fill in the gaps. That’s right, please add your experiences with cellphones, Facebook, Twitter. All that. Here are links to just several of numerous articles that provide interesting points and counterpoints to the discussion of technology in the context of writing endeavors. The last article has a broader thesis, but is relevant to the discussion. When Karen dumps Greg, he tries to keep the relationship going with a simple plan: become the kind of guy she wants. He needs to prove he’s decisive and can take initiative, qualities she admires. Not to mention he needs to read Ernest Hemingway’s For Whom the Bell Tolls for a class presentation. Middle-aged Victor arrives at the local hangout, a dam called The Cascades, giving Greg the means to succeed in the plan. Victor has a romance problem of his own, as well as a drinking problem. Greg attempts to help Victor sober up and reunite with his estranged wife, all in hopes of winning back Karen. Then tragedy strikes at The Cascades, and Greg is left to question love, the value of a life, and how he will ever finish his book presentation. This entry was posted in Author, coming of age, contemporary teen, novel, short stories, writing, young adult fiction and tagged coming of age, young adult fiction on November 3, 2014 by margaretmendel.